MARK KNOPE is a “middle” child. No big surprise there, eh? Many believe MARK’S sense of humor was developed at a VERY early age…by accident! A few days after he was born – on the ride home from the hospital – his paternal grandfather insisted on carrying his new grandson home! Well, this was in the middle of December and little MARK was completely bundled up from head-to-toe – it wasn’t until his mother unwrapped him and took him from his grandpa’s arms that anyone realized – GRANDPA HAD BEEN HOLDING MARK UPSIDE-DOWN DURING THE ENTIRE RIDE HOME FROM THE HOSPITAL! It was several weeks before anyone let my Grandpa Knope hold me again. Heh. Do you think having all that blood rushing into his tiny little melon at the tender age of THREE DAYS caused any confusion in his thought-process during the rest of his life? MARK lead a pretty normal childhood in a middle-class neighborhood in Wyandotte, MI; a suburb of Detroit. MARK’S Dad, Charlie – was a firefighter for the city they resided in, but…he ALWAYS was working a second job to provide “extras” for the family. Blossom, MARK’S Mom, was the family’s cook, housekeeper, seamstress, launderer, nurse and chauffer ALL rolled into ONE! You know…SUPERMOM! MARK’S love for performing was evident at a very early age – whether it was doing impressions of John Wayne, Tennessee Tuxedo or Howard Cosell for his aunts and uncles OR an impromptu puppet show for his cousins…MARK loved being in the spotlight! Most people fear speaking in front of crowds – MARK has ALWAYS relished in it! Whenever a teacher looked for a volunteer to give an oral book-report (OR ANY PRESENTATION, for that matter!) MARK’S hand was sure to shoot into the air for consideration. After graduating from Wyandotte’s “Teddy Bear” High, MARK attended Central Michigan University and earned a B.A.A. degree in Broadcast and Cinematic Arts. MARK got his start in professional comedy at an open-mic night at the New Chinatown restaurant in Albuquerque, NM; back in March of 1986! He honed his comedic skills in places like Houston, San Francisco and Orange County, CA – before he FINALLY ditched his “day-job” in September of 1988 and hit THE ROAD! Mark returned to the Midwest in the late 90’s – eventually, re-locating to Toledo, OH; in 2004. 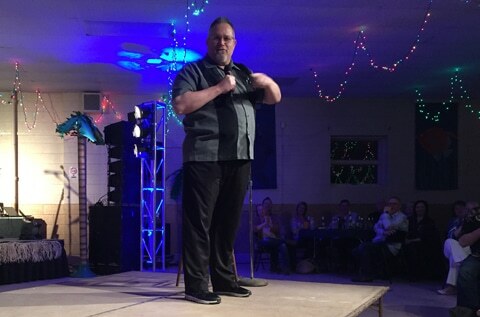 For over a quarter-century, Mark has been making people laugh – in clubs, at colleges, casinos – you NAME it! You wanna “bet on a winner?” Bet on MARK KNOPE! MARK has performed in 45 of these United States – with over 5,000 shows under his belt! COMCAST’S Comedy Spotlight on the Road, COMEDY CENTRAL’S Stand-Up, Stand-up, Nightshift on FOX, America’s Funniest People and Comedy at CLUB54 are all television shows that have featured Mark over the years. Since 1986, MARK has had the good fortune of working with many HEAVYWEIGHTS in the standup biz! He’s opened for George Lopez, Kevin James, Harland Williams, Richard Lewis, Bobcat Goldthwaite, Tommy Chong, Bobby Collins, and Tommy Davidson! In December of 2004, Mark had the opportunity to share the stage with “Mr. Las Vegas” himself – Wayne Newton – at Cleveland’s Palace Theater! 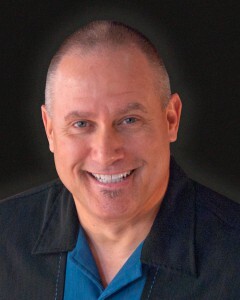 Mark has performed for dozens of corporate clients – including: GM, The Fieger Law Firm, OSC Labs, Possis Medical, Waste Management, Bob Evans Restaurants – and Harley-Davidson’s 100th Anniversary! Mark found out very early in his career – that he just couldn’t “show up” for a private party or event and perform his “club” set! Mark has performed for annual sales meetings, corporate birthday parties, holiday events, ski clubs, golf outings – YOU NAME IT! His first CD, “Don’t Laugh…It’ll Only Encourage Him!” was released in January of 2001! Mark’s second CD, “REGULAR GUY” was released on the NEXT ROUND label in early 2009! Our Comic, Mark Knope was a great fit for our group! everyone said they had a great time and our comedian was a riot! This is the 18th time Rusch Entertainment has booked a GREAT entertainer for the annual spring Bowling Banquet. We had about 150 guests!